AS alway Lucky Gunner ships extremely fast and their customer service remains second to none!!! 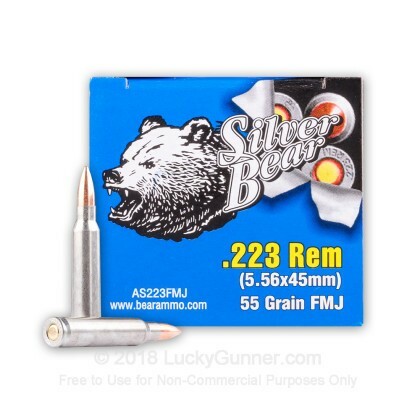 I purchased this very economical .223/5.56 rifle ammo to feed my Wilson Combat Recon Tactical Rifle to work on skills at the range and the 400 rounds I ran through it NOT ONE failed to perform to include accuracy (shot ranges from 7 yards to 200 yards), feeding, cycling and ejecting. One cannot beat this ammo for plinking and/or working on skills. 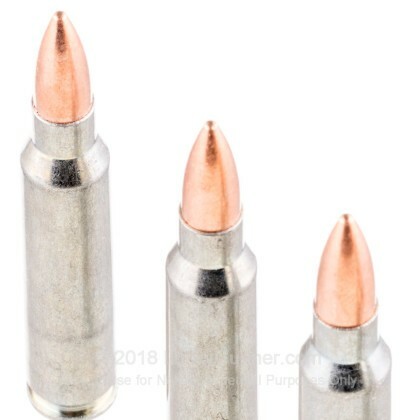 I would and am going to purchase more of this ammo and you should too or at least consider it. This is great ammo for the range or hunting. I have cycled over 2000 rounds through my Windham AR-15 and have never had a squib, jam or misfire. 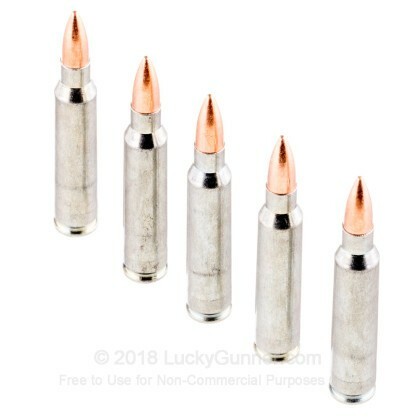 Lucky Gunner is tops when it comes to quality ammo and service. 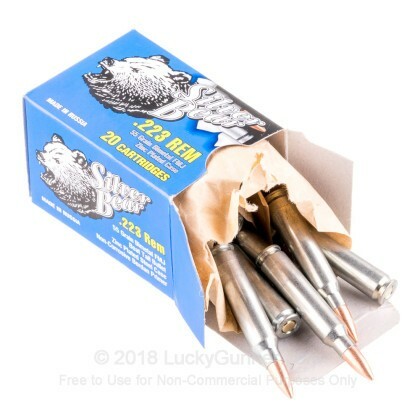 Good Ammo, Very quick shipping. I put about 120 rounds thru my Stag Arms Model 3 without any problems. It is inexpensive ammo and good for sighting in scopes. 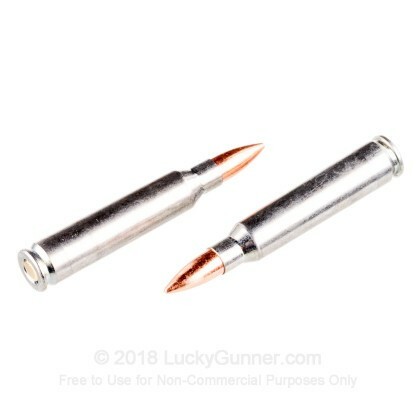 I like this ammo, but it does shoot a little dirty. Broke down my AR to thoroughly clean it. Worth the price and shipping is quick. Will purchase more in the future. For ammo, Lucky Gunner is the best choice. Consistent, clean, great value. Ridiculously fast shipping from Lucky Gunner. I have put 3,000 rounds of Silver Bear through my Daniel Defense and Smith M&P-15 over the last year. It shoots consistently, runs clean, and the price is hard to beat. I had exactly one dud due to a bad primer as my only fail. For the price you can't beat this deal. As for dealing with Lucky Gunner... I don't know if this is normal, but I ordered two cases of ammo yesterday morning and it was on my door step at lunch time today. You guys ROCK! Q: Will this ammo pass a magnet test? A: Hello Peter, This ammunition features a projectile that has a bi-metal jacket. Due to the steel content in the bi-metal jacket, this ammunition will not pass a magnet test. 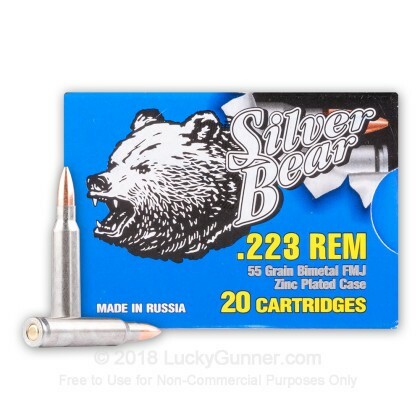 We also have this 223 Rem - 55 gr FMJ - Silver Bear - 20 Rounds ammo in stock in a smaller quantity.